Fig. 3. 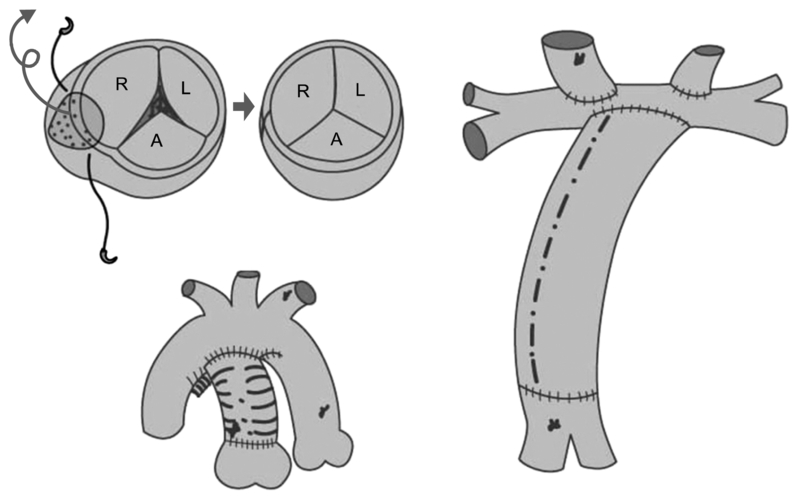 After extracardiac Fontan anastomosis, a reduction plasty for the enlarged right coronary sinus, reconstruction of the neoaorta was performed. R, right neoaortic sinus; L, left neoaortic sinus; A, anterior neoaortic sinus.